Week 4 activity 10: So I have to tell you which campaign I have chosen to support and provide us with a slogan for that campaign. What was easy was making it look pretty. my slogan is the best. Here is my work I hope you enjoy. Week 4 activity 9: So I have to list 10 species ( Plants or Animals) that I would protect from extinction. For each one I have to give a reason as to why I think it is important to protect. What was easy was finding facts about animals and plants. What was hard was naming the animals and plants. Week 4 activity 8:So I have to post three facts that I have learned about the Maui Dolphin that are true. I have to create three more statements about Maui Dolphins that are not true. But I won’t tell you which is false or which is true. So you have to figure out which is true or false. What was easy was writing my true facts. What was challenging was writing false facts. Labels: Which one is true or false? Week 4 activity 7: Why? So I chose this video because I like the inventions. I also like how there catching the predator on camera. What was hard was describing why I liked the video. This is Not Looking Good Guys!! What was easy was choosing which project I like the most. Week 4 activity 5: So I have to list 10 veggies, Fruits or herbs that I would plant in my garden. What was easy was naming things I wanted in my garden. What was hard was deciding what I want most in my garden. Week 4 activity 4: So I have to tell you how I would feel about going Zip lining in Rotorua. I must include some descriptive words( Adjectives) and action words (verbs). What was hard was making that poem. Labels: My Poem About Polluted air!!! Week 4 activity 2:So I have to say whether I think Taniwha exist or if the don’t. Week 4 activity 1: So I have to list five interview Questions that I would like to ask Dame Suzie Moncrieff. What was easy was nothing. What was hard was thinking of questions to ask her. Week 3 activity 14: So I have to imagine that an acid rain storm was outside my house. Then after the rain storm I have to go outside and I have to explain what had happened when I opened the door. I must include 8-10 sentences long. What was hard was everything. Week 3 activity 13:So I have to tell you five things I like to do on rainy days. What was easy was everything. What was hard was nothing. Labels: Playing in the rain is so much fun!!! Week 3 activity 12: I have to share three new things I have learned about air pollution from a video. What was hard was finding three things I have learnt from the video. Week 3 activity 11: I have to tell you what I think these photos are. What shape do I see? I have to be sure that I tell you which picture I have chosen and describe what I see and lots of detail. What was easy was describing the cloud. What was hard was nothing, to be honest. Week 3 activity 10: So I had to write a short summary of the book. What was it about? I have to try to summarise the story in 6-8 sentences. Week 3 activity 9:On your blog, use the word ‘LIGHTS’ to write an acrostic poem about the Southern Lights. Be as creative as you can! What was hard was thinking of words to describe lights. What was hard was nothing really. Labels: What a flying fish!!! Week 3 activity 7:So I have to tell you what superpower I would like to have and why I would like to have it. What was hard was trying to decide which superpower I should have. Labels: If you had a superpower what would it be? Week 3 activity 7:I have to write a short description of my bird. Where does my bird normally live? What does my bird normally eat? I have to post a picture of the bird underneath my description. What was easy was finding facts about the bird. What was hard was trying not to cry when I heard the are endangered. Here is my picture I hope you enjoy. Week 3 activity 6:So I have to work out this math problem. I also have to end my final answer in weeks or days. What was easy was figuring out the answer. What was easy was inventing my sink. Labels: Designing your own sink!!! Week 3 activity 4:So I have to type out four “Unbee-lievable facts about bumblebees and I have to fill in the blanks for each one. What was hard was filling in the blanks. Week 3 activity 3:So I have to make a graph about the hottest temperature in 5 different places. I can make my graph by Drawing it or using a computer program. What was easy was creating my graph. Week 3 activity 2: So I have to list five different things that we can do to protect yourself from the sun this summer. What was hard was thinking of five things to protect your skin from the sun. Labels: What can you do to protect yourself from the sun? Week 3 activity 1:So I have to tell you what time of year I think is the best for tourist for come and visit. I must include at least three things that tourist would do while they were here in NZ. What was easy was thinking of three ideas. What was hard was choosing what season I should pick. Week 2 Activity 15: So I have to list three different ideas or strategies for raising funds to preserve the Great Barrier Reef. What could you do to fundraise here in New Zealand. What was hard was trying to name some ideas to help fundraise. 1. So we can put on a dinner to help fundraise. 3. A raffle. We can have a raffle. The prize will be like meat. 2. The location of the rivers. 3. What is being done to clean up the rivers. Week 2 activity 13: So I have to tell you about this rule ( Over fishing) and why I think about it. So are you against the rule? Or not against the rule? What was easy was stating my argument. What was hard was supporting my argument. Week 1 activity 12:So I have to write a short story about what I think is happening in the picture. I must tell you where I think the people are and what I think there doing at the time that they stopped to pose for a selfie. The story must be 8-10 sentence long. What was hard was writing 8-10 sentences. Labels: Let me take a selfie!!! Week 2 activity 11: I have to give you a list of three to five options for the name of this geothermal pool. I have to put a star(*) beside the name that I like the most. What was easy was coming up with the names. What was hard was deciding which one I like best. Week 2 activity 10: So I have to tell you which of the three options I would take to explore Milford sound. I have to make sure that I tell you why I have chosen the option. Week 2 activity 9:So I have to show you how I will solve this math problem. I can write my answer in words or use a sketchpad, or an image or even a video explaining how I would figure it out. I have to be sure to give you the final answer. Week 2 activity 8:So I have to share a list of ingredients that I need to make this food. I must type out the list of ingredients myself ( I can’t copy and paste it from a website). Labels: What's your favorite food? Week 2 activity 7: So I have to tell you whether I'm a Night owl or an early riser. Then I have to tell you about the rest of my family. Are they the same as me? What was easy was telling you if my family is a Night owl or a Early riser. Labels: Are you a Night owl? or a Early riser? Week 2 activity 6: So I have to list three similarities and three differences between the two plants that I have chosen. Also I can post a picture of both plants. What was easy was finding differences between the plants. What was hard was finding out similarities between the plants. Here is my work I hope you enjoy it. This is the Venus flytrap flower. This is the Rafflesia Arnoldii flower. Why are they in my opinion so strong and tough. What was hard was trying to find a good photo of him. Week 2 activity 4: So I have to tell you whether or not I would like to try flax weaving. I must include if it interest me? Or Why or why not? Labels: Do you like flax? Week 2 activity 3: I have to write each fact and in capital letters beside the fact. I have to write the word true if its a true fact or false if it’s not true. What was easy was finding out information. Week 2 Activity 2: So I have to list three people I would like to have on your lake Taupo Cycle race support crew. I also must include why I have chose each person. What was easy was saying why I picked my 3 people. Week 2 Activity 1:So I have to post a picture of myself doing one of my favorite summer activities. Below the picture tell I have to tell you what the activity is and tell why it is one of your favorites. What was hard was finding pictures. Labels: What's your favorite summer activity? Week 1 Activity 14: So I have to Imagine the New Zealand is going to sink to the bottom of the ocean next week. So I have to write a description of my life on New Zealand. I have to be sure of use picture or words. Or I can paint my own picture. I have to be sure to full attribute the pictures. Week 1 activity 13: So I have to write a letter to a best friend or a family member telling them about my trip to the Tundra. I must include a greeting followed by 5-6 sentences of information about what my experience to Tundra. What was easy was writing a letter. What was hard was thinking who to write my letter to. Labels: It is so so so cold!!! Week 1 activity 12: So I have to tell you whether I think logging should be allowed in New Zealand. I have to be sure to provide at least two reasons to support my argument. What was easy was easy was nothing. What was hard was Stating my arguments. Week 1 activity 11: So I have to design a hotel and I have to say where it would go. I also have to say what the hotel is designed with. Also I can use google drawings to design one of my rooms in the hotel would look like. I can use a paper and pencil then I can take a picture. Week 1 activity 10: For this activity I had to choose one of my favorite foods. Then I had to write the name my favorite food then I have to tell you how I make it. If I need help I can ask my family members or a friend or search it on Google. I also had to say do I make it by myself or does my family cook it. What was easy was remembering the recipe and telling you how to cook Spaghetti Bolognese. What was hard was trying to fit all my words in a text box. So usually I make it by myself. My mum just buy the ingredients. Week 1 Activity 9:So I had to think of 5 questions I would like to ask Sir Edmund Hillary about his life. By the way Sir Edmund Hillary is the man on the 5 dollar note. What was hard was trying to think of questions to ask him. ice banks so the mother seals can have there babies. a lot of baby seals. Week 1 Activity 8: I have to write three pros(good things) and three cons (Bad things) about working as a DOC ranger. I also have to say if I will like to work as a DOC ranger or not. What was hard was trying to think of cons. So I would not like to work as a DOC ranger because I don't won't to touch any poisonous plants or get bitten by an animal. I also don't won't to pick up droppings. Labels: Would you like to be a DOC ranger? Week 1 Activity 7: So I had to create my own beast and describe what it looks like, what sound it makes, what it feels like and what it smells like. What was easy was getting a picture. What was hard was deciding what beast I should choose. Week 1 Activity 6: So I have to answer this math Question. I also had to explain how I solved It. I can answer in words, or I can use a sketchpad image, or I could make a video explaining how i figured it out. I have to make sure I give my answer in milliliters (ml). What was hard was trying to answer the questions. Week 1 Activity 5: So I had to list three Sports teams the have the word fern in their title. Beside each team’s name I have to post a picture of their Uniform. Then I have to say what uniform I like the best out of the three and I have to say why. So I have decided which uniform I like the best. So I like the Silver Ferns Uniform.Why? I like their uniform because I love the color black and white also I love how the fern is designed. So what is your favorite Uniform. Week 1 Activity 4: So I had to write about weather I would like to visit Tāne Mahuta. What was easy was adding pictures. I hope you enjoy. Here is my work. Week 1 activity 3: So what we had to do was copy this footprint and write how we can be safe online. What was easy was coloring in the letters. What was hard was trying to fit my sentence in the foot. I hope you enjoy. Here it is. Week 1 Activity 2: So I had to describe my hometown, I had to say where my hometown is, I had to say what is so special about where I live and I had to make sure I used adjectives. What was hard was trying to describe my hometown. Week 1 activity 1: So we have to learn some cool facts on this website. It’s all about New Zealand. So I had to read it then I had to choose my top 3 facts that I liked the most..
What was easy was reading the facts. What was hard was trying to choose what fact I should pick. I hope you enjoy my post. Here it is. Welcome to the Elf party. Today we looked on this site called Elf yourself. It was a blast. It also made me laugh so much. This is a really really fun site. So If you want to do it and make yourself laugh go ahead. This is so so so much fun. I hope you enjoy my videos and I hope you enjoy this site. So for this task I have to imagine that i'm stuck in a airport and everyone speaks Spanish and I don't know how to. So how am I going to communicate. What was easy was typing my ideas. So our task was to give Kiwi a book to read because he forgot to pack his book. Kiwi is going on a long flight and he is worried that he will get bored, so I have want to give him a book. I had to summarise what this book is about. What was hard was summarising the book. Labels: Night of the Living Dummy!!! So today we have been learning about Linking to our blog and to make a QR code. 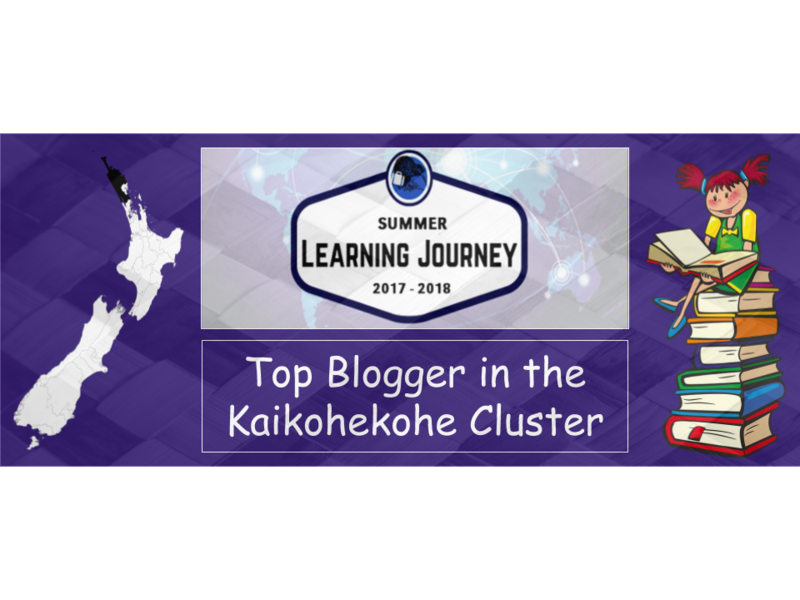 Also this DLO is for our whanau that they can look at out blog. So I tested my QR codes and they work Perfectly. Here are some steps on how you can get to my blog with your phone. 6. Then your at my blog or my classroom Blog. What was easy was Learning how to add my QR code to my Presentation. Here is my DLO I hope you enjoy. Here is my Mihi and My School's Mihi. What was hard was remembering my Mihi. Here is my Learning wall. As you can see I did my Learning wall on Padlet. What was easy was making it so pretty. What was hard was finding out what I scored on my test. Here is my Learning Wall. Hello this is my reading. For SSR I read this book. I think its very very interesting. Just because the cover is scary doesn't mean the book is scary. Wait it is. What was hard was looking at the cover. Labels: Slappy is coming for you!!! Here is our maths. This is our maths game we play. It is really really fun. I love this game. You should really play it. What was easy was playing the game. Hello these are my comments. I think there pretty good comments. Here is our car. We are still working on it. We still need to make the fan and our other car. Here is my spelling words for week 4 term 4. I think I did okay. Next time I think I should practice my words. Today we were learning about safety. So we had to create a DLO about three Safety tips. So I decided to create a poster. At first I was going to make a rap but I thought It will just spend heaps of time on trying to find the music so I did a poster instead. What was easy was making my poster look pretty. What was hard was trying to spell put your seat belt on in Maori. Next time I think I should think of more safety tips. Here is my work. I hope you enjoy. Comment down below and leave positive comments. Labels: Safety always comes 1st!!! Welcome to Mad $cience. We are still Working on our data and research. What was hard was finding data. WALT: Write a character portrait using once in a lifetime short film as inspiration. What was easy was Taking a picture of the man. What was hard was finding ways to describe him. Next time I think I should think of better words to use. Here is my DLO about Te Reo Maori. What was hard was Everything. ( Pronouncing The Te Reo Maori). Next time I think I should Learn how to pronounce Te Reo Maori Words. Labels: Do you know how to speak Te Reo Maori??? so today this is my comment of the week. I think it is a good comment. I don't see any mistakes. I think Its a pretty great comment. Labels: Blog comment of the Week!! !